The best way to travel from Mumbai with Goa tours is by train. Be witness to the lush green vegetation of the Western Ghats as the Konkan rail traverses between the tunnels. The train journey itself is so enjoyable that it sets your mood to enjoy the paradise that is "Goa". Beaches of Anjuna, Baga, and Calangute in North Goa. With Mumbai Goa Tour Package, explore the home of the Indian Film Industry and a city with a determination that never dies. Food and shopping in Mumbai are a delight apart from its various attractions that include beaches, temples, museums and a lot more. A popular weekend getaway from Mumbai is the lively state of Goa. Goa is filled with pristine beaches and elegant churches. Your trip to Goa is incomplete without indulging in the lip smacking Goan cuisine, a visit to its flea markets and enjoying an array of water sports activities. Juhu Beach & Chowpatty Beach. Beaches of Anjuna, Baga and Calangute in North Goa. You may enjoy water sports such as water skiing,para sailing and scuba diving(at your own cost). Chapel of St. Francis Xavier, Basilica of Bom Jesus and other famous Cathedrals and Churches of Goa. You may also enjoy a cruise ride on Mandovi river. If you are interested in Bording, you may visit the famous Dr. Salim Ali Bird Sanctuary. You may also visit Dudhsagar waterfalls which is listed as India's fifth tallest waterfalls. We also oranise Temples and Spice Tours in Goa.To know more about these tours, you may write to us. You may also enjoy Culinary tours of Goa, where we make you cook authentic Goanese cuisine with the locals. If you love nature, we can arrange treking tours such as Saaveri Trek, Chand Surya Trek, Virgin Waterfall Trek and more. 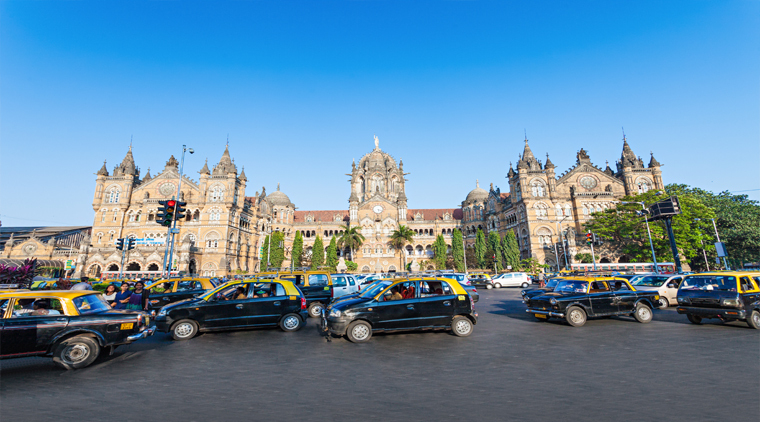 Upon arrival at Mumbai, meet our Mumbai with Goa tour representative who would assist you in your transfer to Hotel. Rest of the day shall be free to explore the beauty of city or at leisure. Overnight stay at hotel in Mumbai. After enjoying breakfast in the hotel proceed for a full day sightseeing of Mumbai city, covering Gateway of India, Prince of Wales Museum(now known as Chhatrapati Shivaji Maharaj Vastu Sangrahalaya), Hanging Garden,Victoria Terminus (now called Chhatrapati Shivaji Terminus), Juhu Beach & Chowpatty Beach. Later, return back to hotel for overnight stay at hotel. Early in the morning, drive to Gateway of India.Reach ferry point which is also famously known as Apollo Bandar.From Apollo Bandar, board ferry to Elephanta caves (Closed on Mondays).Ferry service to Elephanta starts at 09:00 am each morning and there is a ferry after every 30 minutes.The last ferry leaves at 14:00 hrs.It takes about 1 hour to reach Elephanta and about 30 more minutes to trek to the caves (Note that the last ferry leaves at about 5 pm back for Apollo Bandar). After returning back from Elephanta caves, rest of the day shall be free to explore the markets of Mumbai, notable among which are Crawford Market, Linking Road, Fashion Street and Zaveri Bazaar. Later in the evening, drive past the famous Marine Drive(3.6 Kms drive along the famous Queen's Necklace).Later return back to hotel for overnight stay. Mumbai Goa tour by train is the most scenic and best option to choose if you are a nature lover.The train journey ensures some breath-taking views that leave you spellbound. After finishing breakfast at the hotel transfer to Railway Station to board the train for Goa.There are several trains connecting Mumbai to Madgaon Railway Station and the journey typically takes between 10 hours to 13 hours depending upon the train. On arrival at Goa, meet our representative who would assist you in your transfer to prebooked hotel. Overnight stay at hotel in Goa. 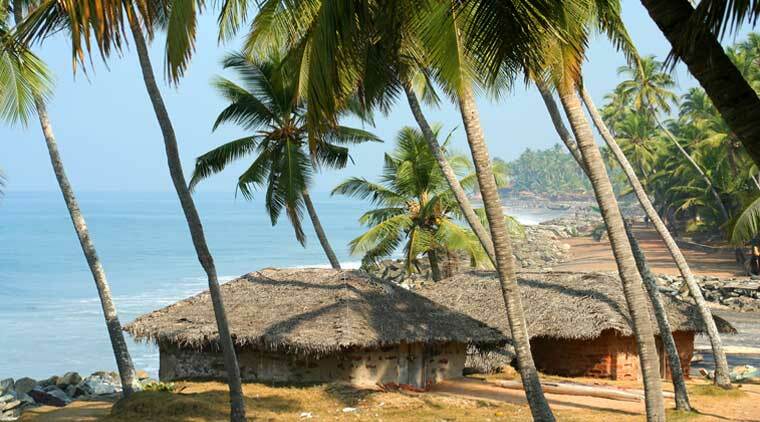 After breakfast at the hotel proceed for a full day sightseeing tour of North Goa. You would visit the beautiful beaches of Anjuna, Baga and Calangute.These beaches are famous for their water sports such as water skiing,para sailing and scuba diving. Anjuna Beach is famous for its flea markets and nightlife.Anjuna beach is also famous for its moonlit parties during the Christmas and New Year eves. Unlike Anjuna which is much more happening, Baga beach which lies between Anjuna beach in the north and Calangute beach in the south is much calm and quiet.Baga beach is famous for fishing by the tourists. Calangute beach, the busiest among the above three beaches is thronged by tourists in the high season of November to February.The beach is lined up with shaks under the palm trees famous for their sea food and beer. Later reach back hotel for overnight stay. 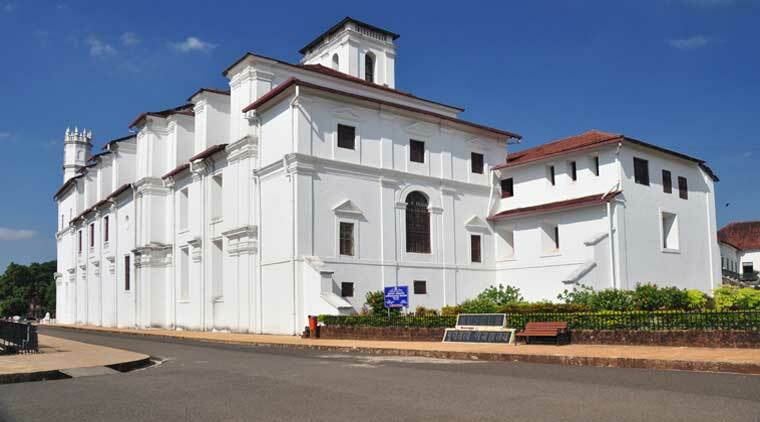 The sightseeing tour this day shall acquaint you with the rich heritage and culture established in Goa by its erstwhile Indian and Portuguese rulers.You would also visit the famous Cathedrals and Churches of Goa.Notable among these are Chapel of St. Francis Xavier and Basilica of Bom Jesus. Later, check out from the hotel and on time transfer to Airport/Railway station to catch the flight/train for your next destination. •	Assistance on arrival at Mumbai. 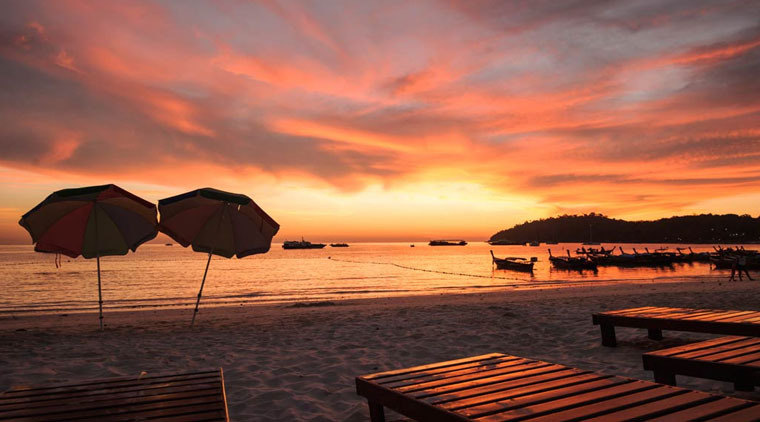 •	04 Nights Accommodation in the hotel/Resort on twin sharing basis. •	Daily breakfast & dinner in the hotel/Resort. Marine Drive: Walk through the 3 kilometres long stretch and you can also visit Chowpatty Beach. Haji Ali Dargah: Visit this Islamic shrine that lies on a small islet in the middle of the Arabian Sea. 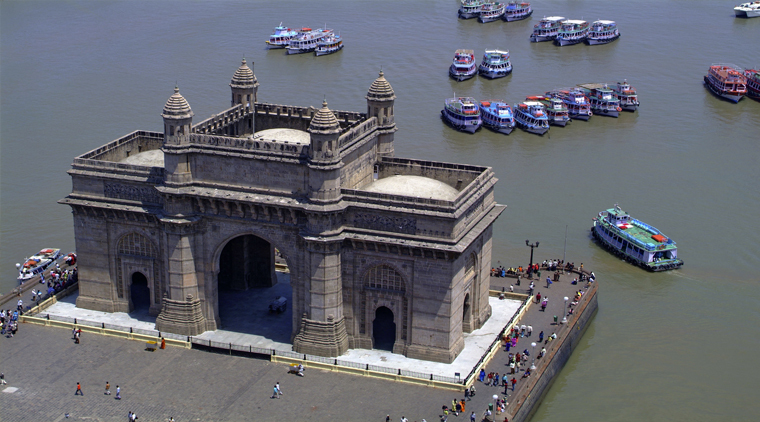 Gateway of India: Witness this landmark of Mumbai in all its glory and admire its exquisite architecture. Shree Siddhivinayak Temple: Visit one of Mumbai’s holiest temples dedicated to Lord Ganesha to offer your prayers. How to Reach Goa from Mumbai? Though you can take a flight from Mumbai to reach Goa, Mumbai Goa tour by train is the most scenic and best option to choose if you are a nature lover. The train journey ensures some breath-taking views that leave you spellbound. November to February is the best time to visit Goa as the weather is pleasantly cool. This is also the peak season in Goa as all the popular festivals like Sunburn happen during these months. Sightseeing in Goa and a visit to its beaches becomes relatively easy with the pleasing temperature. WaytoIndia brings you the list of top flea markets in Goa where you can shop till you drop. Anjuna Flea Market: This is one of the most prominent shopping destinations in Goa. Saturday Night Bazaar: This flea market of Goa has something for everyone and is also every food lover’s paradise. Mapusa Market: A regular market for rest of the week to an exemplary Goan flea market on Fridays, Mapusa Market has so much to offer. When to Visit: Every Friday, 8:00 a.m. to 6:30 p.m.
Mackies Market: This is a famous flea market of Goawhere you can find many shops and stores selling clothes, souvenirs, leather goods and a lot more. Calangute Market Square: This is one of the most visited markets of Goa that exhibits countless stalls selling items ranging from beachwear to trinkets and also has many seafood snack outlets. When to Visit: Every Saturday, 6:30 a.m. to 12:00 p.m. Your Goa tour is incomplete, if you have not indulged in water sports activities in Goa. Here is a quick list of best water sports that you can try. Knee boarding: Experience the excitement of this amazing water sport in Goa. Scuba Diving: Make the most of your Goa beach holiday by getting lost in the depths of the scintillating water and explore the coral reefs. Jet Skiing: With your Goa holiday package, experience the rush of jet skiing and make your holiday a memorable one. Parasailing: Enjoy your holiday in Goa with one of the most fun beach activity to satisfy the adventure enthusiast in you. Banana Tube Boat Ride: This is one of the easiest water sports in Goa that you can enjoy with your friends or family as you ride on a banana boat. Goa is one of the few states in India where gambling is legal. So when you are in Goa, do not miss the opportunity to try your luck at the Casinos in Goa. Here is a list of the best casinos in Goa. Deltin Royale Casino: This is one of the top casinos in Goa that offers a lot of games as well as a gourmet restaurant for its gamers. DeltinJaqk: Previously called Casino Royale, this casino has a special learner’s tables for the beginners. Casino Pride: This is one of the popular casinos in Goa that boasts of a great ambience and gaming experience. Deltin Caravela: This famous casino of Goa got a whole new makeover in 2016 and offers excellent gaming options combined with guest suites. Chances Casino: This is a well-known casino of Goa that is a regular among the locals. Time to Visit: 11 a.m. to 4 a.m.
Goa is a serene destination that offers the perfect combination of sun, sand and sea. Let us see the list of some must visit places in Goa. Beaches: With your Goa tour package, explore the many beaches of North Goa like Vagator, Calangute, Candolim, Anjuna, Baga and much more. 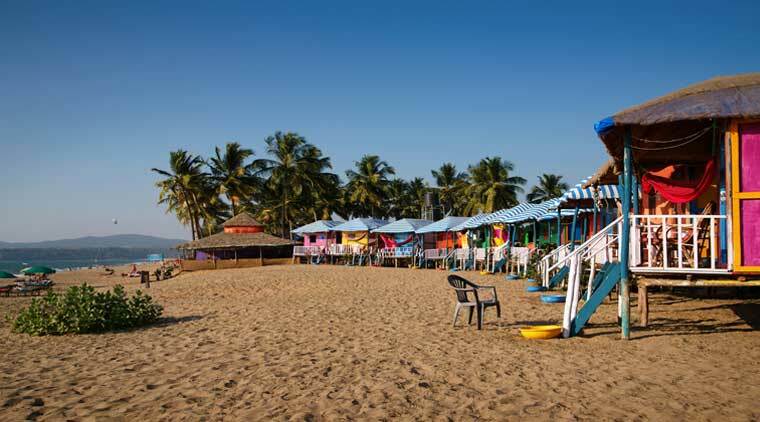 1) Beaches: Some of the top beaches in south Goa include Mobor Beach, Palolem, Colva, Agonda, and Majorda.